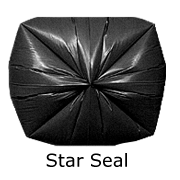 One of our most popular products, these giant 95-96 gallon black trash bags are ideal for extra-large rollaway cans. They’ve been made to a full 2 mil thickness for exceptional resistance to punctures and splits. 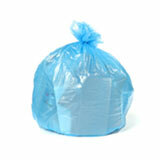 This is an excellent bag for outdoor use, or in warehouses and commercial kitchens. USA made and finished with a star seal. 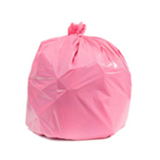 The star seal is the best seal for wet garbage that may be prone to leaks. Conveniently packed on 10 rolls (5 bags per roll). 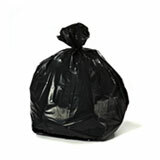 Order today and see why so many customers love these black garbage bags! 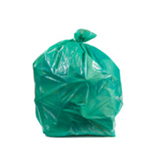 One of our most popular products, these giant 95-96 gallon black trash bags are ideal for extra-large rollaway cans. With a full 2 mil thickness, they offer exceptional resistance to punctures and splits, even when accommodating rough refuse. Use them when doing yard work, in warehouses or at outdoor events where food and drink are in play. 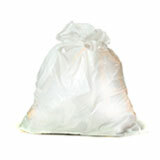 The star seal offers sturdy construction and easily handles wet or dry garbage. 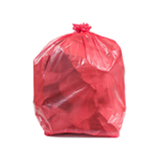 Fits the waste container perfectly, Use them for yard waste. 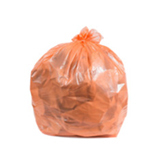 Perfect Garbage Bags for SHUTDOWN!! 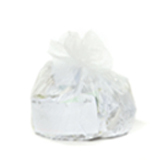 We needed a thicker, stronger, bigger garbage bag to hold all the lunch trash from Shutdown Lunches. These bags were perfect. The lunchers could overflow the bags, but when we pulled them out of the garbage can there was still plenty of bag to tie them up. 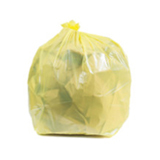 They were also thick enough to withstand the plastic forks and metal cans from poking holes in the bags and liquid dripping out all over the lucky few who would have to toss the trash bags into the hoppers. These bags were AWESOME! !